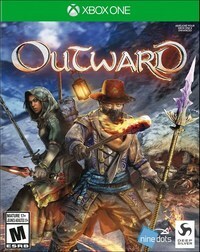 Deep Silver and Nine Dots Studios have announced that upcoming open-world action RPG Outward will release on March 26, 2019 for PlayStation 4, Xbox One, and PC. The RPG has been in development for several years, but it was recently picked up by Deep Silver as a publisher. A trailer was released alongside the release date announcement, giving a narrated overview of the game's design and gameplay. Find the trailer below, and you can find the Steam page here.